Have you found an online vendor selling Facundo Eximo? I tried the Bacardi Facundo Exima side by side with the Bacardi Reserva Limitada. I really struggled to pick a winner. This has notes of honey, caramel, oak, and some bourbon. This was just a tad sweeter (neither were really that sweet, however). I think they both tasted fairly similar overall (no surprise since both are Bacardi products). Overall I prefer the taste of this over the Limitada, and this is certainly the better value. But it was close. Shortly after I tried this, I tried the Facundo Exquisito, and I think that's a really nice step up. Not too sweet but smooth and flavorful. But of a nice bite to it as well. I really like this one - had almost no expectations going in, but seriously good. Nutty nose with woody caramel tones. Initial shock of spice dissipates incredibly quickly to result in a smooth long finish. Almost a poprock feel after a few seconds - quite interesting. Lots of brown sugar comes through - fans of dry whisky rums may think it’s too sweet. It’s dedinitely strong, sip with some caution. I didn’t find it was better after adding a few drops of water - just go full in neat and enjoy! A bit harsh, with a strong raw woodiness, almost like a resin. 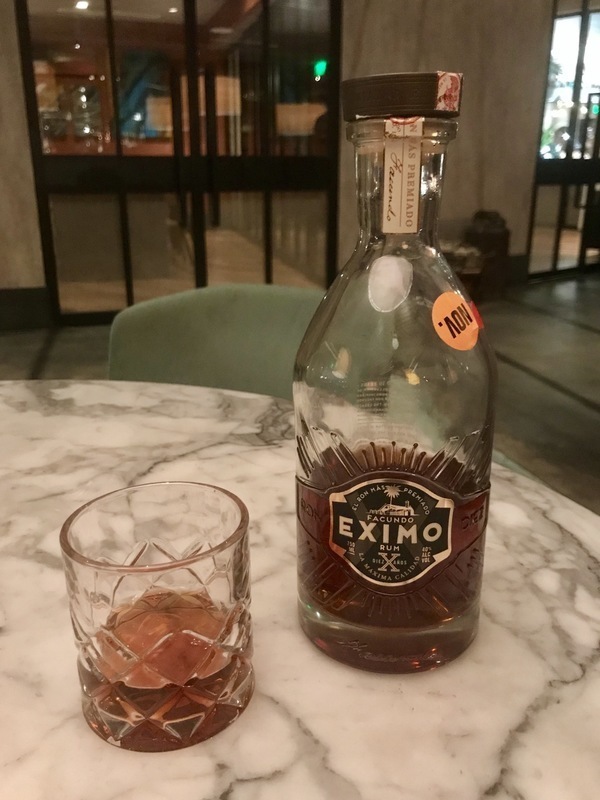 Facundo Eximo is a smooth rum with a bit of afterburn, but there are no clear flavors to taste and you will always get that familiar Bacardi undertone. There are easily over 50 smoother rums with much better price quality than the Facundo Eximo. Not as smooth for my usual taste but a good tipple all the same! I have come to learn that Bacardi actually does make some delicious rums that are made to be sipped. Eximo is most definitely one of those rums. No sweetness at all, dried fruits, a hint of tobacco and lots of depth and character with a pleathora of different flavors. This is a very complex rum and it is overall a very nicely done rum. Goo'oood stuff Maynard! And you better say you like it neat or else you might wanna put on your pantyhose.. Fantastic rum for the price. One of the best rums at the $70 price range. It will not disappoint. It is a little stronger in taste than the Facundo Exquisito which is my number 1 pick by far in rum, however if you let is sit in ice for a few minutes it looses some to its strength. If you like strong rums, this is one of the best at an affordable price. The bottle is beautiful and classy. It make the perfect gift for a good friend. Do not use for mixed drinks, it is too good for that. Terrific vanilla notes that linger on the tongue. Nice nose with hints of caramel. Nice and smooth. Can use more time, but overall very pleasant. This one has a nice bottle.. But i belive that you should have it there.. It has a good taste.. But not good enough to zip.. And as i drinkirum there is many cheaper that would do the trick.. The color is nice.. The smell is pleasant.. But thin.. And have a hint of ethanol.. The teste i low on sugar. Almost like a burbon.. And the finish fades away awful quick.. Another year in the drum would probably do the rum some good. This is a Bacardi product from their higher end Facundo line. It was offered during the last 30 - 45 mins of First Midwest Rum Fest in Louisville held in December 2014. It's only available in San Francisco, Miami and New York City. Smooth, complex and moderately sweet. Definitely a sipper and I thoroughly enjoyed it.